Aztec completed the first phase of a two phase renovation of an 8,000sq. ft. 100 year old jailhouse building. 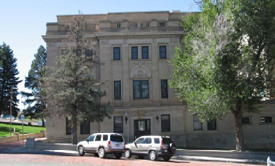 A goal of the project design was to preserve and protect the historical aspects of the exterior building aesthetics, while demolishing certain structural elements and jail cells within. Our work included layout and installation of a new foundation design, new structural steel skeleton design and fabrication, installation of new utility infrastructure, new communication lines and electrical services to the building. Due to the fact there were no as-built drawings, or any structural information for the building, additional caution, care and safety had to be employed to protect the building and our employees from injury and permanent damage. Many dimensional changes occurred during this process, and close communication with the engineer had to be maintained to accurately complete the concept of this project. The success of this project was attributed to the communication, process efficiency and experience of the entire team to include owner, contractor, engineer and subcontractors. All disciplines of construction were completed in a relatively short time frame, and many at the same time. 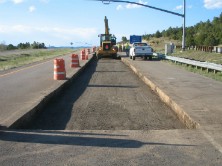 The Weigh In Motion project consisted of preparing the Interstate road surfaces and inlaying technologically advanced scales in six different locations along I-25 and I-70 in Colorado. These scales can detect the size, weight, and speed of commercial trucks in a fraction of a second. The Interstates’ concrete approaches, scale areas, and exit areas had to be ground and paved to within strict tolerances for the equipment to properly operate. Most of the work took place at night and AGC successfully managed the challenges night work presents, such as scheduling, traffic control, and the highest level of safety in order to protect workers. 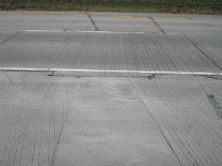 AGC completed the installation of these scales at I-25/Trinidad NB/SB, I-25/Ft. Collins NB/SB, I-25/Monument SB and I-70/Dumont NB/SB, all within 120 days.